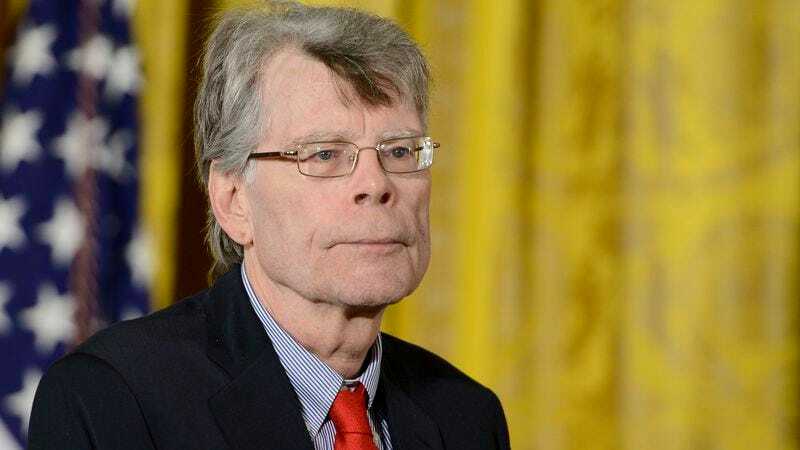 Between the two of them, Stephen King and James Patterson have written (or co-written) about 10 million books, so it makes sense that the two would have a bit of a rivalry. After all, only one man can be the true king of both airport bookstores and bins of used paperbacks, so King and Patterson obviously have to fight for that crown. Patterson’s most recent dig at King came in September of last year, when he announced—and then promptly canceled—a book called The Murder Of Stephen King. The novel was supposed to be about a prolific horror author named Stephen King who gets attacked by a stalker who loves his work, but Patterson later realized that a stunt like that would be in pretty poor taste. This comes from Entertainment Weekly, which grabbed some tweets from other authors looking to join in on the fun and/or choose sides in the coming Prolificacy War.